Sony’s elegant piece of work and best in gaming performance Sony PlayStation 4 has surpassed a whopping sale of 6 million units. 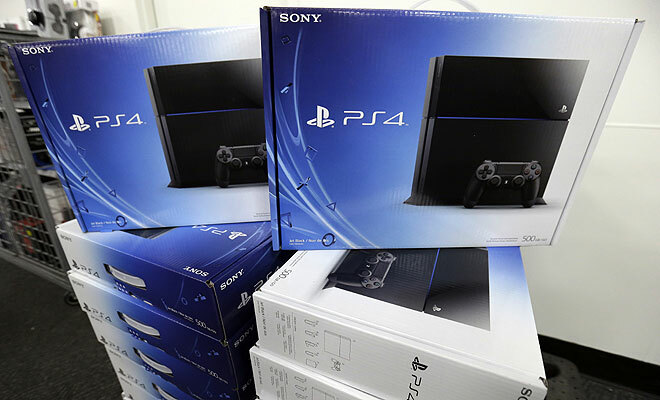 Bragging about the PlayStation 4, Sony revealed the selling of 6 million units. If statistics to be believed 370,000 units have been sold in the Japan alone since the launch of it on 22nd February 2014. Not so far away with almost 4 months of release Sony PlayStation 4 has just not ended up with breaking sales records. Believing in the statistics PS 4 has shown a record breaking sale of 13.2 million software copies in the retail and online stores. It has about half of owners using Sony’s PlayStation Plus service, which in turn rewards them with free games, huge discounts and various other benefits and with more than 100 million shares been captured via “Share” button on PS4’s wireless game controller, 3.6 million gameplay broadcasts have been sent out via the Twitch and Ustream streaming platforms. With the whopping amount of figures it looks likes its a clear win of PlayStation 4 here. In December’13, Microsoft’s Xbox One surpassed PlayStation 4 sales in all, but for now believing in Bloomberg reports, the sales of PS4 nearly as double as sales of Xbox One. A research firm NPD had also declared that PS4 leads in hardware sales but it was without any specific numbers.